Apparently I'm going to be doing this whole "wedding recap" thing completely backwards. Like you saw a couple weeks ago, I started with our minimoon, and this week I am sharing our "thank you" notes. 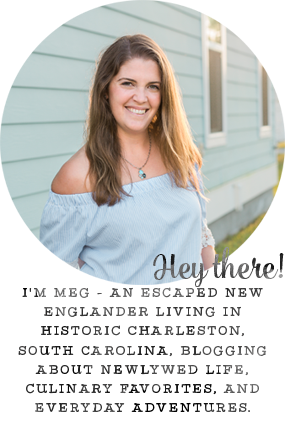 The reason I wanted to share these is because I just love how they came out and I am so excited to give y'all another opportunity to win a fantastic banner from Wedding Banner Love just in time for Thanksgiving or Christmas! So, I had this idea that it would be really fun to have a photo of us on our "thank you" cards. I swear, I'm not totally vain, but I just thought it would be a nice personal touch. 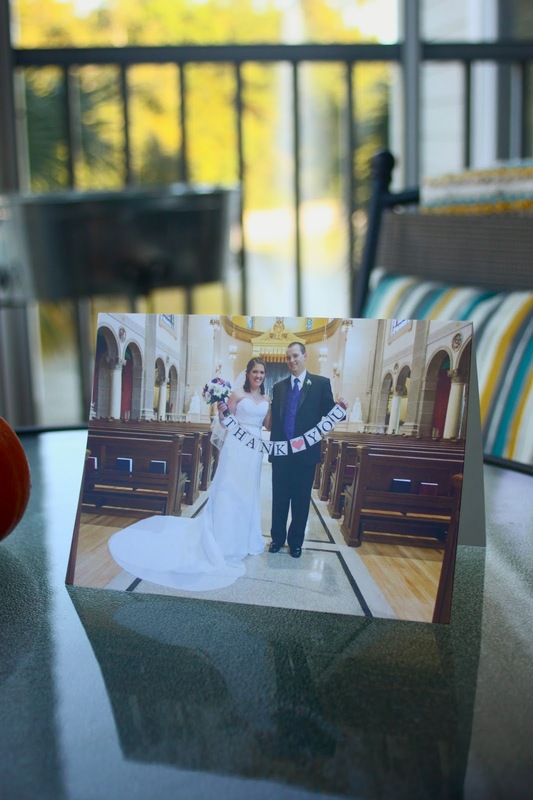 I made the cards with Shutterfly and decided to keep them as simple as possible with a blank inside and just a small photo and date on the back. Beautiful cards / photos! We had a similar banner made but from a different shop. Loved how the photos turned out. Thanks for the giveaway! These cards are amazing! :) Such a creative idea. I love these banners! I love the Thank You - I need it for my wedding photography - I think my bride & grooms will love that option! I would go with the thank you or just married, since I'm in the process of planning my wedding and I want to do something like this for our thank you cards! 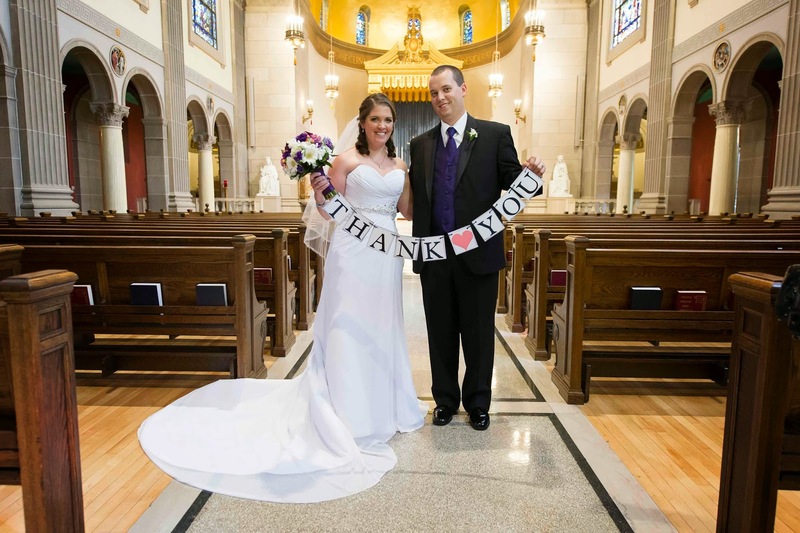 I love the banner I won from Wedding Banner Love through your blog - I used it for my brother's wedding which is coming up next week! Love the Merry & Bright one! I love all of them!! I really like the Christmas ones! Absolutely love this! And definitely the merry & bright! I def want to do something like this when I get married. The card came out great! What a great idea. The Best Day ever banner with mint hearts is so cute!! After seeing your Thank You cards, I think we are going to be doing the same thing! This sign is amazing! I love the idea for the thank you cards; they really make the note that much more personal! 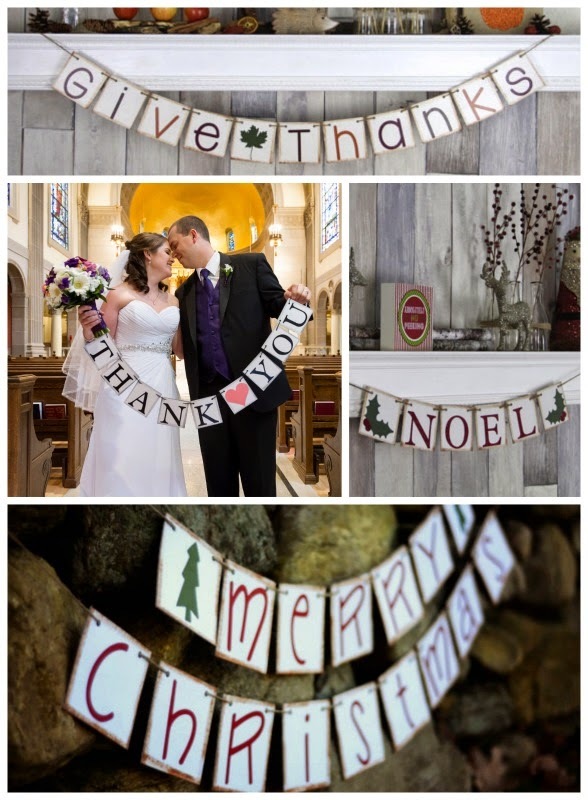 I love the Christmas ones - I have a christmas photo shoot coming up at the end of this month and the family wants to use a prop, one of these banners would be perfect! These cards turned out so awesome! Congratulations too - by the way. I love the banner too...gorgeous!